Jason Desrouleaux (born September 21, 1989 in Miami, Florida, United States), known more simply as Jason Derülo, is a Haitian American singer-songwriter, dancer, choreographer, producer and actor signed to JR Rotem's label Beluga Heights. He has been writing hit singles for acts such as Lil Wayne, Pleasure P, Pitbull, Stat Quo, Iyaz and Birdman since 2007, and released his eponymous self-titled debut album in March 2010. Jason Desrouleaux (born September 21, 1989 in Miami, Florida, United States), known more simply as Jason Derülo, is a Haitian American singer-songwriter, dancer, choreographer, producer and actor signed to JR Rotem's label Beluga Heights. He has been writing hit singles for acts such as Lil Wayne, Pleasure P, Pitbull, Stat Quo, Iyaz and Birdman since 2007, and released his eponymous self-titled debut album in March 2010. His debut single from the album, Whatcha Say, was released to radio in June 2009, it sampled the Imogen Heap song Hide and Seek and became a huge digital hit, selling over 2 million records, gaining an RIAA certification of 2x platinum, and reaching #1 in the US and several other countries. The album spawned two further US top ten singles including In My Head, which peaked at #5, and Ridin' Solo, which peaked at #9. In 2011 he announced the release of his sophomore album Future History. Don't Wanna Go Home was released as the album's lead single in May 2011. 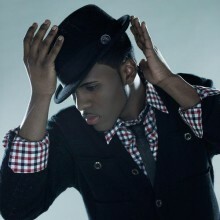 Respected venerators if you are reading this, you clicked on the page of the singer jason derulo in our eLyricsWorld. Our database consists of information about 52389 artists from all over the world also 829824 songs 231 of which are from jason derulo. Except for the artist's biography, on this page you can see brief information about them, which includes date of birth, style, record label Be conversant with all the news with jason derulo by adding RSS link. If you prefer you could directly visit the address you are on at the moment and look through the latest songs about the singer.